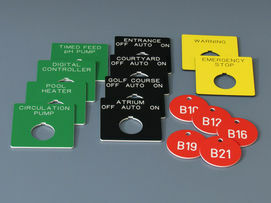 Create signs right on your workbench with Scott® engraving machines. 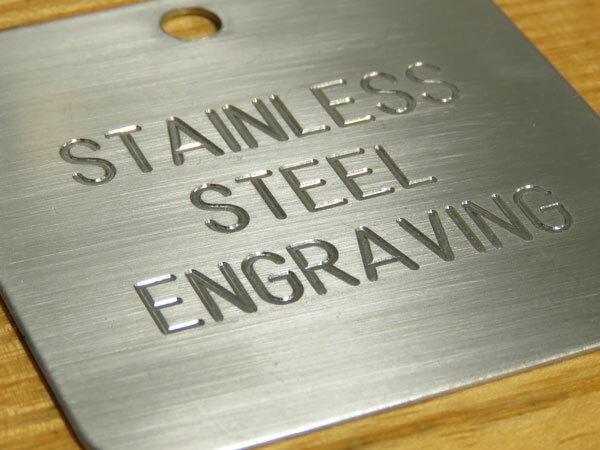 What can you engrave? These examples, all created on desktop Scott engraving machines using versatile Scott engraving materials, show that the list is endless. Besides great ideas, you’ll find great prices too – we’ve even included pricing guidelines for your engraving supplies! 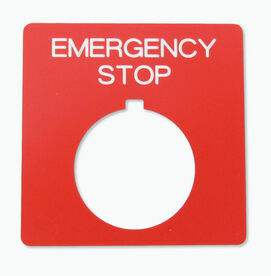 Match up your signs with the special features in our Signgraver® Engraving Machines. 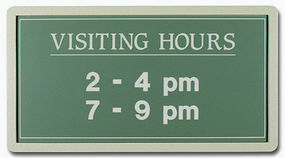 Feel free to move back and forth between these pages until you have the perfect signage solution. 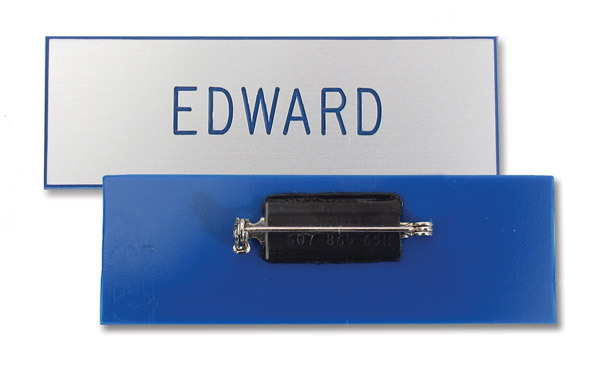 Call today, at 1-607-865-6511, for a couple of these free MetalFrost™ name tag samples, then pass them among your staff. Budget guidance: blank tags, $4.00; magnetic fasteners, $2.16; safety pins, $0.27. 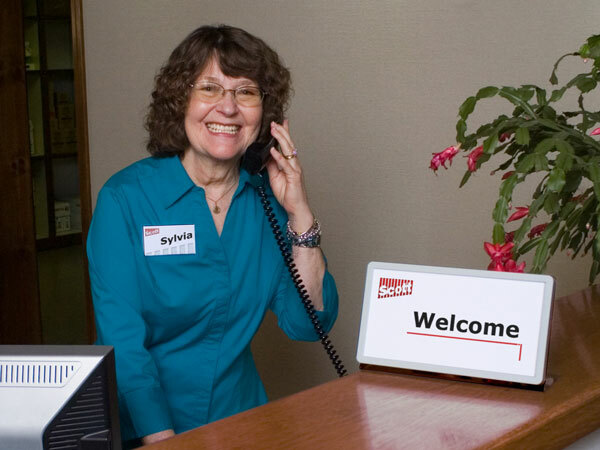 “Welcome” is more than just a word when it’s engraved on a handsome desktop name plate. It’s an invitation to become friends, especially when professionally created, using a Scott Signgraver engraving machine and the various supplies available to you from our wide selection. Did we say that this tag lasts? Give is a ring by 4:00pm ET today and we'll send this sample by Priority Mail tonight. Anytime is a great time to make a quality sign. 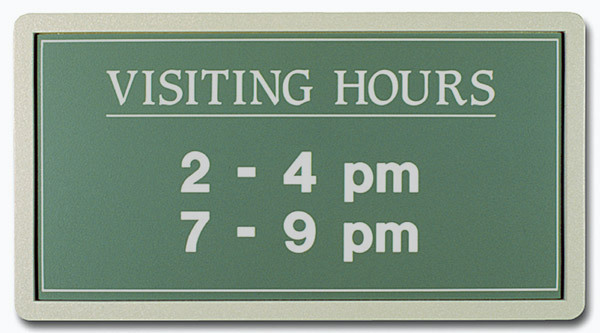 And with a reliable engraving machine you can create professional office signs on-the-spot, whenever you need them, in a consistent look that really complements your facility! And if there’s ever a time you have a question, we’re ready to help. Of solutions for your sign engraving needs. And all of our equipment is made in the USA by craftspeople who truly care about the products they make. Whether you need to list your staff roster, give directions or take a moment to call attention, engraved signs are the remedy, and we have the prescription. 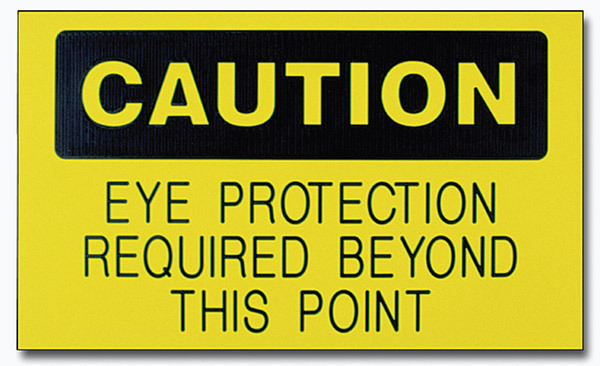 We provide safety sign blanks, with "Caution", "Danger", "Notice" and other headings in bold lettering. 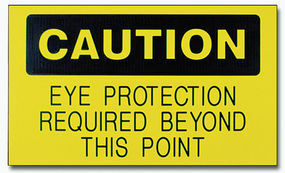 Clarify your warnings with your own specific words, distinctly engraved for easy recognition. These durable sign panels can be mounted with screws, nails or even double-sided tape. Talk about tough and versatile. 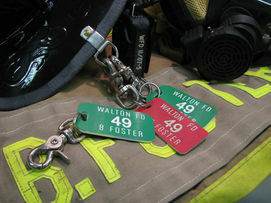 Our blank, custom-shaped profiles are perfect for uses like fire department accountability tags. Just engrave the names and numbers. And remember that, as a manufacturer, we can respond instantly to requests in ways that distributors never could. 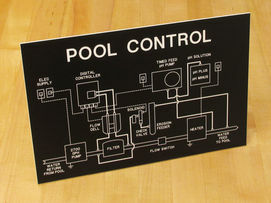 No matter how involved your signage project, we can guide you through every step. Our quality computerized engraving machines, plastic stock and other supplies and advice are all you need to make your switch plates and informative legends. So don’t be afraid of intricate patterns and detailed impressions…Scott Machine has the comprehensive solutions. 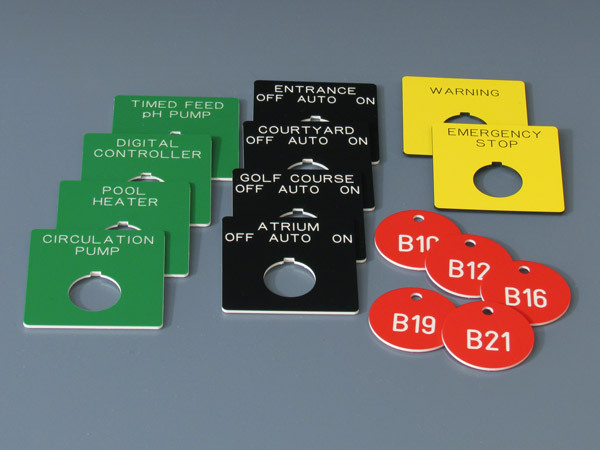 You’re never just a number to us, but whatever the volume of tags you need to create…whether that number goes up or down…we can accommodate you. 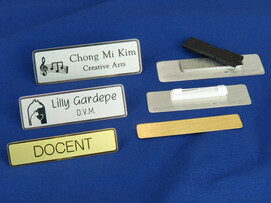 And that’s true whether you need a faster, larger engraving machine or merely a lot more blanks and profiles. Either way, Scott Machine is your most resourceful source. Need a custom-shaped legend plate? No fear – that’s just another day at the office for us. Send us a simple drawing (fax is fine) that features the hole diameter and shape, outside dimensions and desired colors, and we’ll do the rest. Control panels, pushbuttons, switches…no matter. 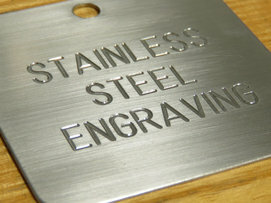 We can even engrave them for you if you send us a spreadsheet of your text. We can give every logo a good name, converting most into single-line, engraveable "masters" that fit right alongside your engraved lettering. 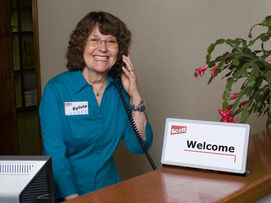 And if you need help along the way, we’re perfectly suited from our customer service staff to our factory experts. 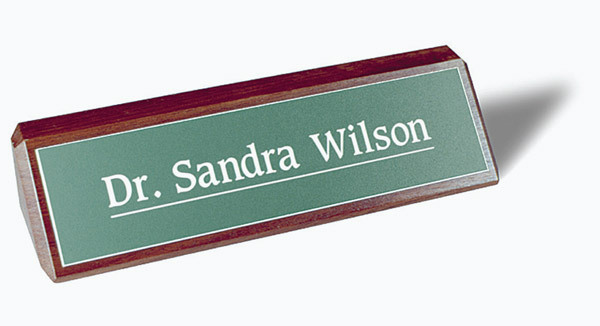 1" x 3" textured, spring green-on-white, rounded corner name tag blank, with a pre-attached magnet, just $1.95…available with quantity discounts. New staff members feel immediately welcome when presented with a personalized name badge, engraved the day they arrive. Make it a professional-looking engraved tag that gives them a feeling of permanence. Our popular brushed aluminum surface with crisp blue lettering is just one of many attractive combinations that celebrate your company colors as well as your dedicated staff members. Engrave your electrical equipment panels and other ID signs easily and efficiently, when using this rugged 1/16” thick scuff-resistant ID plate. 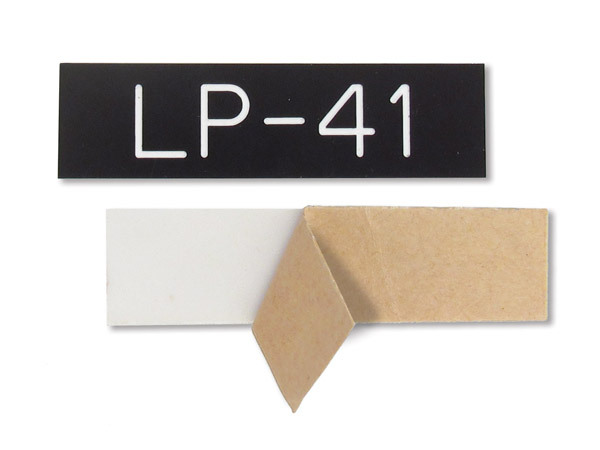 Our quick-peel adhesive-backed blanks offer a secure, invisible hold, even in industrial settings. We offer just the right engraving machine, too, backed by a solid warranty that reflects our more than 50 years of satisfactory service. 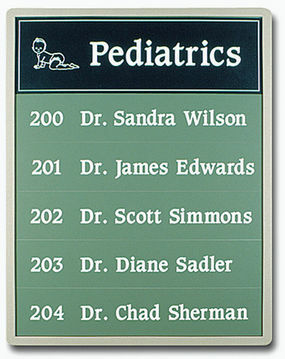 If your volume is small, we’ll gladly make your finished signs for you. When the numbers increase, we can quickly set you up with a complete engraving system of your own. It’s that simple – we pride ourselves in our hardware, software, supplies and sound advice. Who knew there were so many different engraving options? We did…and that’s why we supply you with all the equipment and expertise you need to do your jobs right. The first time. So let us help…it’s what we do best.